Born on November 3, 1619 in the city of Rotterdam, Willem Kalf was one of the most popular, sought after and successful Dutch Golden Age artists of still-life composition. He was known for his varied and exceptionally detailed works of art. Willem Kalf was part of a wealthy aristocratic family in Rotterdam, Netherlands. His father, who was a cloth merchant managed municipal posts as well. Kalf was a pupil of Hendrik Pot, a painter who specialized in historical subjects, and of the artist Cornelis Saftleven as well. Around late 1630s, Kalf subsequently went to Paris to begin his artistic career. He met a number of Flemish still-life painters and spent his time with them in Saint-Germain-des-Prés. While his early works featured modest kitchen and farmyard scenes, as well as small-scale rustic interiors, he was able to produce a lot of luxurious, desirable still-life paintings. The plain and simple interiors painted by Willem Kalf hugely influenced French art particularly the Le Nain brothers – Antoine Le Nain, Louis Le Nain and Mathieu Le Nain, who produced portraits, genre works, along with portrait miniatures. 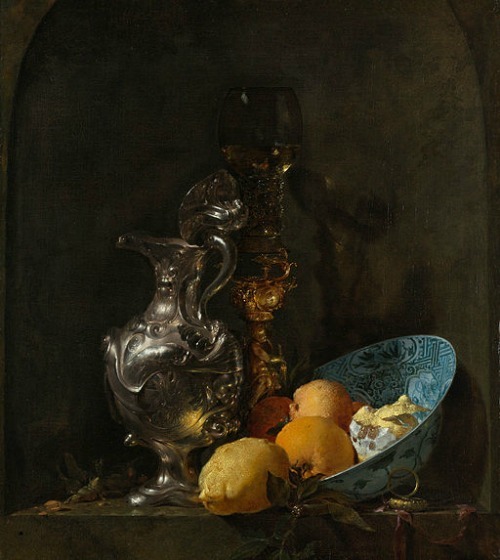 The semi-monochrome still-life paintings produced by Kalf in Paris created a significant connection to the ‘little banquet pieces’ made by Dutch painters Willem Heda, Pieter Claesz, and others during the 1630s. In the 1640s, Kalf eventually focused on painting rich groups of gold as well as silver vessels. In Kalf’s still life paintings, fruits like Seville oranges and expensive, precious objects such as Venetian glass, Chinese porcelain fruit bowl, agate-handled knives and oriental carpets on top of a tapestry-covered or marble table are typically arranged in Grand Baroque pattern. 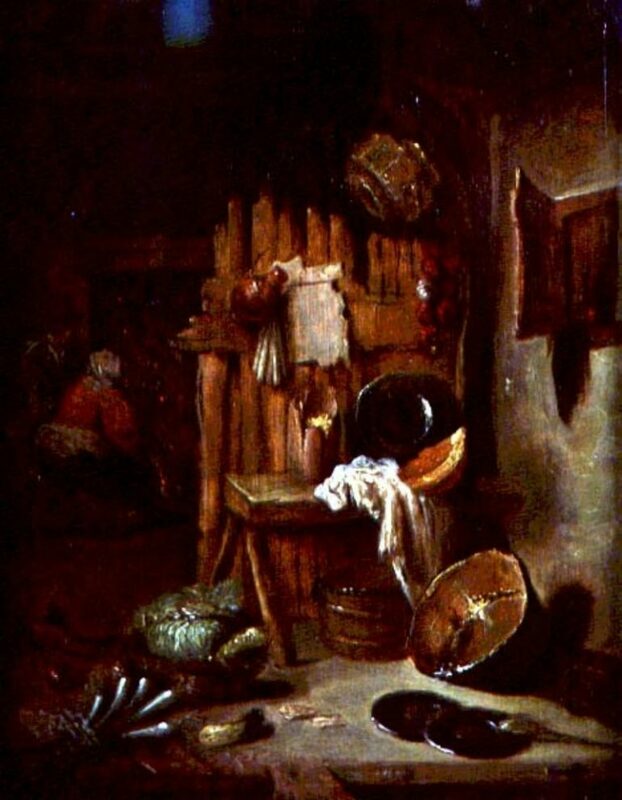 His rich oeuvre appealed naturally to and was highly appreciated by the wealthy members of the Dutch society during the 17th century, and became well known as pronkstilleven, which stands for “opulent still-life painting” in the Dutch language. The great artist Willem Kalf passed away on July 31, 1693 in Amsterdam, Netherlands. During the 1800s, the Dutch Golden Age of art became hard to distinguish from similar artworks made by French, Flemish and German painters. It is really the French artists, Jean Chardin and Jean Baptiste Oudry who are known to be the successors of the Dutch still-life tradition. By the 1900s, Willem Kalf was almost completely forgotten, but when many of his works were restored in the 20th century, his talent was favorably compared with great painters Rembrandt and Vermeer, and he became well known as one of the most brilliant still-life artists of his time. Willem Kalf’s beautiful still-life works of art can be seen in many of the best art museums around Europe.